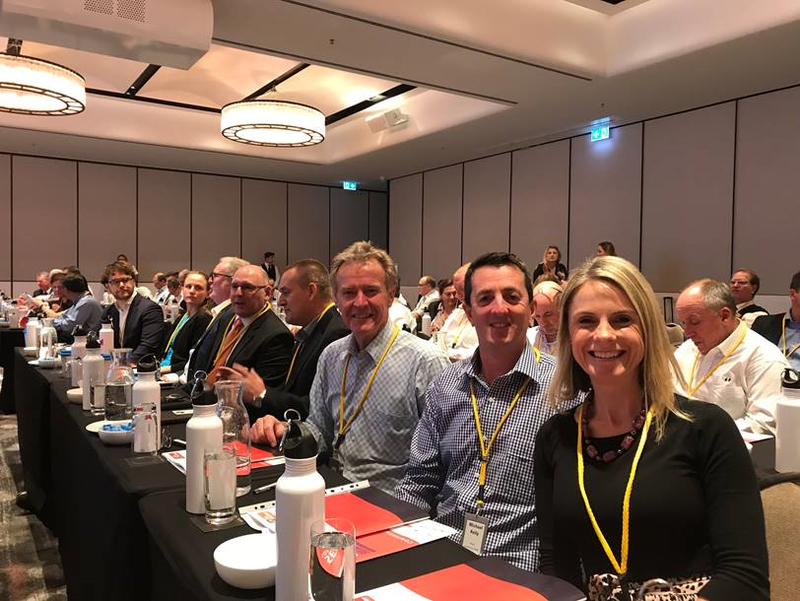 Interesting read by Teresa Lloyd, who shares insights from MIAL's recent SEA18 Conference, where industry thrashed out issues of Australia's maritime workforce, present and future. AMPI AGM 2018 Agenda and Nomination of Proxy / Voting Form now available. Please click here to be directed to Members Section to view. Please logon to view the MAIB Report into the heavy contact made by container vessel CMA CGM Centaurus with quay and shore cranes at the Port of Jebel Ali, UAE. 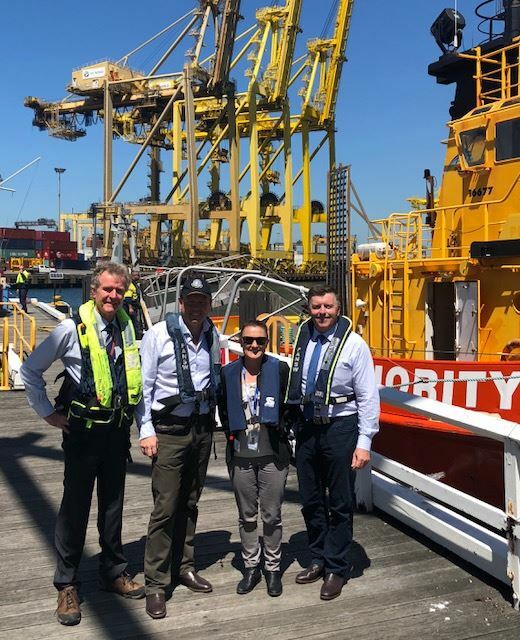 AMPI President, Neil Farmer and member Michael Kelly at the MIAL SEA18 conference in Canberra with Sarah Marshall Port Services Manager Port Authority of NSW Sydney. Representatives from AMPI, AMSA and AMOU recently met to discuss Pilot Transfer Safety. Please click here to access the Members page to read the detailed report. Location: Sydney Marine Pilots Office, Moores Wharf, Sydney and also via Zoom. Date: Thursday 9th November 2018 commencing at 1000hrs. Please click here to access Members Section whereby additional information can be found, including the AGM Notice, Nomination Form and current list of Board Nominations. 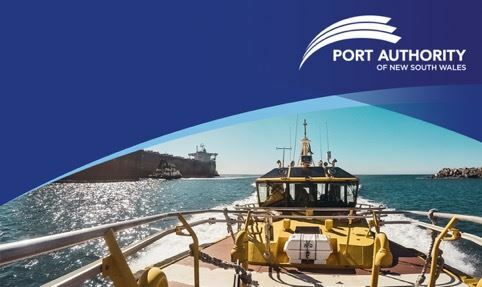 Lyttelton Port Company - the gateway to the South Island of NZ is currently advertising for a Marine Pilot. If you would like further information on this opportunity please click here to access our Positions Vacant page. 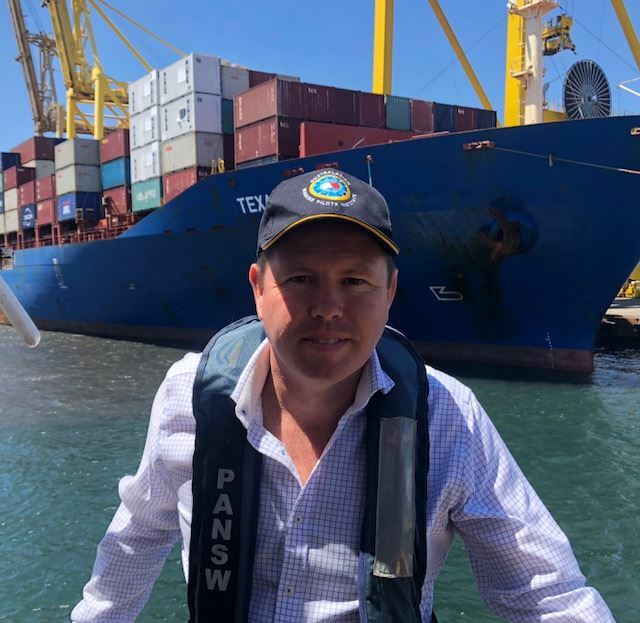 Port Authority of NSW are seeking expressions of interest from Master Mariners for a Marine Pilot position in Port Kembla. Previous ship handling experience desirable. Applications will close 1700hrs Thursday 18th October 2018.